Drew started his career in the financial services industry in 2009. Drew is currently a independent financial advisor holding FINRA Designated Series 7 and 66 securities registrations and also holds a life and health insurance license in North Carolina. During his career Drew has help hundreds of individuals with their financial needs like consulting with debt problems, tax preparation, setting up individual retirement accounts, helping businesses setup retirement plans for employees and many more issues people face these days. Drew is a graduate of East Carolina University where he received a Bachelor of Science degree in Finance. Drew was married to Beth Cooper in March of 2010 and they have two children, Wesley Cooper (7) and Kensleigh Cooper (3). Brittany Gregson began full time with with Moore Business Solutions in January 2011. She has an Bachelor’s Degree in Accounting from East Carolina University. 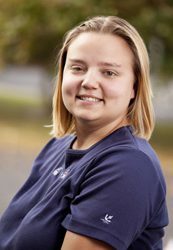 Besides helping customers, Brittany processes payroll and performs bookkeeping. She logs in your tax return information, prints your return and calls you when it is done. Brenda Stewart is the senior bookkeeper at Carolina Business Enterprises. 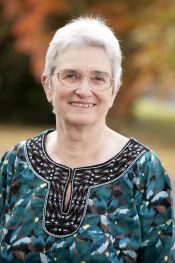 She holds a master’s degree from Wake Forest and a BA in Mathematics from Duke University. She will help you with your QuickBooks® needs, payroll, client consulting, Accounts Payable and Accounts Receivable tasks. Karen Roy began her career in QuickBooks® in 1999. 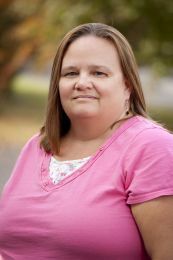 Karen holds the responsibility of managing the Carolina Business Enterprises office along with client payroll services. 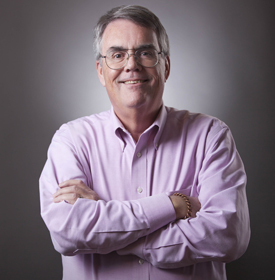 Jeff Moore started his business career in 1978 and it’s hard to find anyone with more knowledge of the Greenville and North Carolina business world than Jeff. He is a graduate of University of North Carolina, Chapel Hill and holds an MBA from the University of Southern Indiana. Jeff began his own business in 1997 and along the way became an enrolled agent for the IRS, which means he earned the right to represent his clients in tax cases with that agency. Jeff is also a QuickBooks® Professional Advisor. Call Jeff today at 252-355-1099.